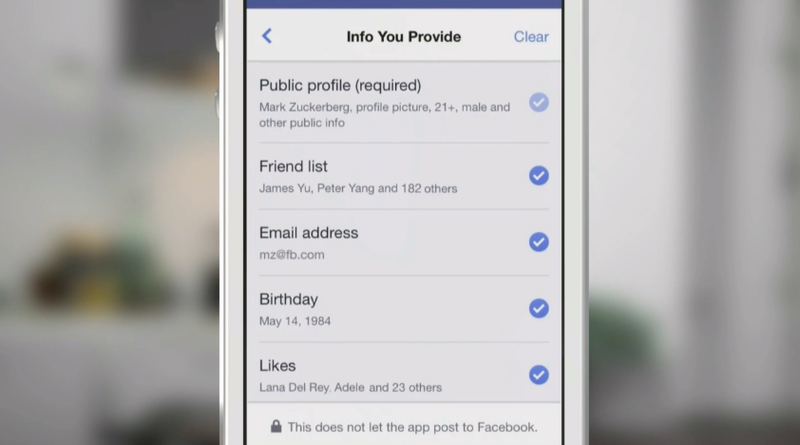 At its F8 developer conference today, Facebook a new version of its login system for third-party apps that lets people log in anonymously so they can demo apps before they provide their personal data. The new login also gives you total granular control over what data types you give an app. In addition, Facebook’s login service for mobile apps now offers users more fine-grained controls over what they share with an app. Starting today, users can’t just decide whether an app can publish to your news feed and what date it can read from it, but they will have very precise controls over what exactly gets shared. Even with the anonymous identifier, your experience between apps can still be synced, but the app won’t get any personal information from you. This works because Facebook still uses a unique identifier for you every time you log in anonymously. That way, even if an app doesn’t know your name, it can save your content, high scores, or ther data and sync it across devices. If you don’t use the anonymous login, the new permission dialog now allows you to go through your permissions line by line. It’s important to understand that when Facebook says “anonymous”, what it really means is “you don’t have to give third-party developers your name or data before you use their apps”. However, as Kashmir Hill of Forbes notes, Facebook will still gather data about what apps you’re using “anonymously” that it can use to personalize your other Facebook experience or potentially target you with ads. For now anonymous login will give people a way to “try before you buy” aka see if you enjoy an app brefore you give it any personal data. The initial launch partners are likely to be apps that get better and more personalize when you use your real identity and share your Facebook. 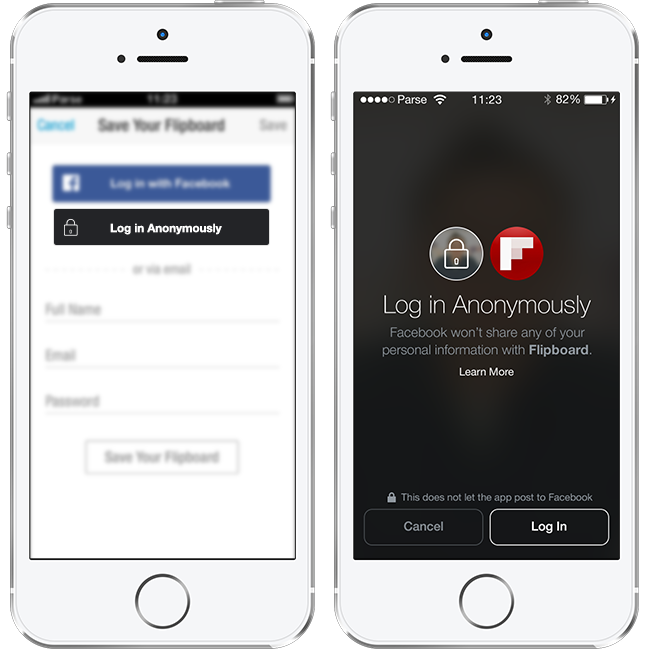 But eventually, as Facebook opens up anonymous login, I’d expect people to build “Anonymous-First” apps like a Secret clone that are designed to be used without your Facebook data.